Buzz! 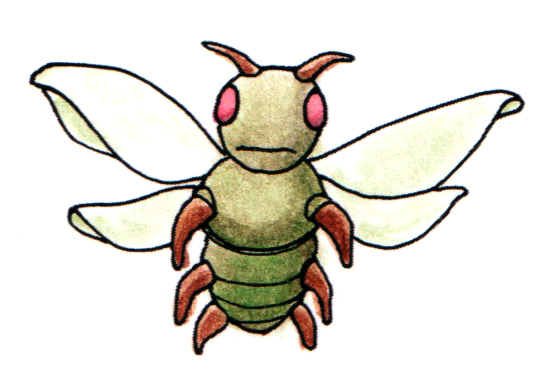 | I Ate A Cicada Today! Each limerick-like verse in this book of goofy anecdotes uses evocative yet silly vocabulary to convey situations that are both nonsensical and imaginative. A thug mugs a ladybug, for instance, and a tall giraffe gets photographed—in sing-song poems comparable in quirkiness to Raffi’s “Down by the Bay.” This instantly lovable and informative creative effort is sure to delight. really silly and has a lot of rhymes. I liked listening to this book on the CD, but it was also easy for me to read. The illustrations were really good. They were funny and helped to tell the story. If you enjoy silly things, you will like reading this book. I Ate a Cicada Today is a whimsical children’s picturebook-and-CD combo. Written, illustrated, and sung by Jeff Crossan, the silly rhymes describe a variety of outlandish events involving people and animals. Pure fun to read or sing aloud, I Ate a Cicada Today is excellent for storytime or playtime. A recipient of the Mom’s Choice Gold Award! 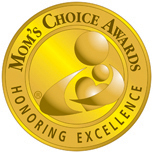 The Mom’s Choice Awards® (MCA) evaluates products and services created for parents and educators and is globally recognized for establishing the benchmark of excellence in family-friendly media, products and services. Using a rigorous evaluation process, entries are scored on a number of elements including production quality, design, educational value, entertainment value, originality, appeal and cost. 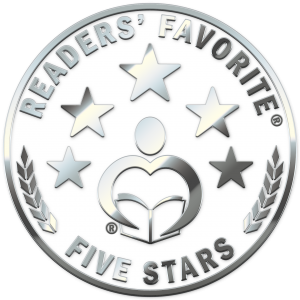 Around the world, parents, educators, retailers and members of the media trust the MCA Honoring Excellence seal when selecting quality products and services for families and children. I Ate A Cicada Today by writer/illustrator Jeff Crossan is a book of nonsense rhymes for children to enjoy, in the style of Lewis Carroll or Roald Dahl. It features a variety of different animals and actions, and each one is accompanied by a rhyming verse and an extra, amusing commentary beneath each verse from the perspective of the narrator. Jeff Crossan produces outstandingly beautiful illustrations that are sure to delight both children and adults alike. I found they drew the eye and were entertaining and inventive. I Ate A Cicada Today would be a valuable resource in a classroom to teach children about rhyme and poetry in a fun, accessible way, as well as being a delightful book for families to read (or sing) together at home. Overall, this was a delightful and highly recommended read. Parents who read to their children can tell you that one of the really critical tests of a good children’s book is what happens if your child falls in love with that book. Repeated readings can be a wonderfully warm ritual, like spending time with an old family friend, And, on the other hand, re-reading a book your child loves that grates on your ears is a very specific form of parental torture. Illustrations in this volume are warm watercolors sporting cute details, like the back scrubber clutched in the tentacle of a giant squid hiding out in a bathroom, or the bandana on a gypsy moth. The final illustration is a panoramic vision that somehow ties all the verses together in a fun and friendly farewell. I Ate a Cicada Today pays tribute to the silliness in all of us – especially the youngest readers. Follow along in the book as you listen to the song on the CD. The book offers 16 rhyming wonderfully absurd, mini stories about animals. “I ate a cicada today.” “I peppered a leopard today” and “I hid a giant squid today.” On the CD you’ll hear Jeff sing the song while playing acoustic guitar. There’s a short spoken verse for each two-page spread as well, and all of it is absurdly funny. Jeff’s crisp, clear cartoon like illustrations of bugs and other animals really pop off the pages, against the white background. The illustrations are just as silly as the song, and you and your child will love reading and studying the images as you listen along on the CD. I love the fact that Jeff uses a combination of his many talents in this one project – songwriting , singing, illustrating and a keen sense of humor. As an author myself, who penned a book that is recorded on CD with music, and has visited thousands of children on author visits, I can tell you how important it is for young readers to listen as they learn. Teacher s and librarians talk to me about this on every visit. The goal with the youngest children is to keep their attention and encourage them to want to learn to read themselves. There’s no better way to accomplish this than with making reading super fun. I Ate a Cicada Today is the perfect, silly song/book to get your child hooked on reading. It’s cute, funny and so entertaining, plus Jeff’s voice is clear and smooth and you’ll appreciate the fact that he doesn’t rush through the music. What an ideal book to bring with you on car trips, so you can listen to the CD and sing along. Your child will likely be interested in learning more about the bugs and animals in the book, and will maybe even be inspired to make up silly verses of his or her own. The 32-page hardcover book with accompanying CD will have young readers laughing and singing along with each two-page spread featuring a verse about a different animal or insect and Crossan’s short spoken asides adding a comic punch to the zany lyrics. Miss Grace adored reading this book by herself and singing along with Jeff on the 2nd go around! She loves learning new facts about animals and insects, so she instantly picked up on those in the book, but loved the rhymes as well. She even started making up some of her own to go along to Jeff’s song! The pictures are simple and very cute, and sure to grab your child’s attention! It is a fun book and one that can help encourage your kids to get some extra reading in this back to school season!